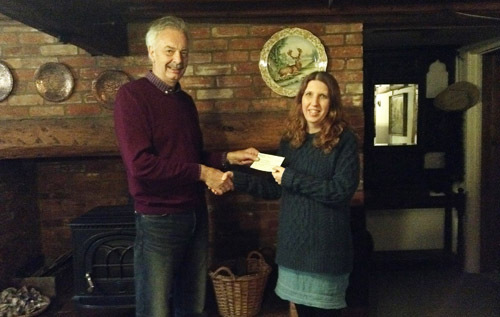 Reepham Lions has raised £300 for the Reepham Good Neighbour Scheme, which will ensure the continued running of an organisation scheme that provides a vital service to the local community. Michael Black of Reepham Lions presents a cheque for £300 to Oonagh Walsh, chairperson of the Reepham Good Neighbour Scheme. Meanwhile, the Lions Club has welcomed five new members, who will join with other Reepham Lions to raise funds to support international and community projects. To find out more about Reepham Lions, please visit the website, email reephamlions@gmail.com or come along to the next meeting, which will be held at Reepham Methodist Church, Station Road, Reepham, on Tuesday, 2 April at 7.15 pm. The club meets on the first Tuesday of the month.